Individual coaching has a time and a reason. Something is happening now that you want to investigate. You might not know exactly what is going on. And that might be the work we do together; to find out what that something is. You might have a very clear view on what is happening; a desire for change, a challenge, a conflict, confusion, or a need to think out loud creatively. Some coaching leads to new objectives and actions. Some is useful in developing new awareness. But it all starts from here and now. At the beginning, we will spend plenty of time exploring what it is that has led you to seek out a coaching relationship. We will discover how you experience the situation and discover what is important about it. Our methodology integrates a range of theoretical lenses, to view individuals’ contexts from a variety of different perspectives, blending a variety of models within coaching and psychology – applied as appropriate during the coaching work. Spending time like this – investigating how you interact with your situation, colleagues, organisation, and the world – can illuminate your habitual patterns of interacting. Shining light into these dusty corners makes the patterns more explicit and increases your understanding of yourself and widens your repertoire of possible responses. This broadened repertoire of responses is a lifelong capacity to better manage how you work in a wide range of previously tricky situations. It’s transformative. Only when you know where you are, can you know how to get to where you want to be. After gaining a clearer view of your current situation, you can find different meanings to how come your situation is the way it is. You will become aware of new elements to your situation and new perspectives. You can then gain a better-informed view on how you would like the situation to be different in future, or for yourself to be different – set objectives. At this point in the coaching process, it (at last!) makes sense to decide how to move forward. What’s next? You may devise a course of actions to take you toward the changes you want. You may simply want to use your new insights to allow you to be different in the way you approach your relationship with work and colleagues. Whatever that next step is, you’ll be better prepared to recognise the change that’s needed and take the necessary action to make those changes a reality. What is our Team Coaching Process? 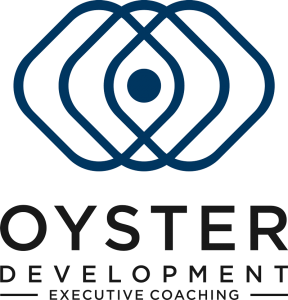 Oyster Development follows an approach developed by Professor Peter Hawkins of the Bath Consultancy. He terms this approach Systemic Team Coaching. ‘It is systemic in three ways. First, the focus is on the team as a collective – their purpose, performance and process – and only secondarily on the personal and interpersonal development within the team. Second, the focus is on the team in their systemic context, working with them as they engage and relate to all their stakeholders. Third, it involves reflecting (often in supervision) on the coach as part of the coaching system. This is an initial contracting process with the team leader or sponsor. Its purpose is to arrange a contract for the initial inquiry and discovery phases. Questions will be explored relating to the needs of the team’s stakeholder-world, the timing of the coaching work; why now? The parties’ various understanding of coaching, previous experiences, what issues get ‘disappeared’ in the team and the team’s visions of success. This phase is about collecting data and impressions about the team; their dynamics, functioning and performance, the relationships between the collective team and their commissioners and their stakeholders, about the team and their relationships. Hold individual semi-structured meetings with each team member. Send out the Team Connect 360 diagnostic instrument to team members and all the key stakeholders with whom they interact. Have conversations with some key stakeholders and collect feedback from the tier of management that reports to this team. This phase is trying to gain enough data to work with the team to contract a joint diagnosis that can lead to the co-design of the team coaching journey. The findings of the interviews, questionnaires and performance data will be sorted and analysed to develop working hypotheses including the possible focus for team coaching. For teams that want to move from being reasonably effective to being high-performing, we map where the team is functioning well and where it is challenged. We will likely use Hawkins’ five disciplines model to decide where to pay attention first; commissioning, clarifying, co-creating, connecting and core-learning. For teams in crisis or dysfunction, we might use the Lencioni model to uncover and address the dysfunctions. Following the initial inquiry and diagnosis phase, the coach(es) will sketch some possible maps of the coaching journey for discussion with the team and for use in the co-design of the coaching process, with the team, in the next phase. This is the time to meet with the whole team and fully contract objectives, process and programme for the team coaching. In order to engage the team as co-diagnosers, they will be invited to take part in digesting, sorting and prioritizing each piece of summarized data. This establishes a shared view of the current state of the team and what difference the team needs and wants to create. Then the coach engages the team in agreeing what they want to achieve from the team coaching journey and specifically what success would look like for individuals, for the team, for the organization and for stakeholders. The second area of contracting involves agreements about the relationship between the team and the coach and the process of working together in areas including; practicalities, boundaries, ethics, working alliance and the contract with the wider organization. This is the time where the issues that have emerged in the contracting can be observed and listened to. This involves the coach listening to the team at a number of levels; data content of what is reported and discussed and the relationship of this to the agreed mission of the team, the patterns of behaviour of the team, the emotional expressions and relating and the emotional climate and the assumptions, mindsets and motivations of the team and the team members that underlie what it said and how it is said. In this stage, the issues that have been opened up through both the inquiry and the listening stages and agreed on in the contracting can be explored and the team can experiment with new ways of operating. A variety of exploratory interventions are available; for example, a clarifying workshop to turn the team’s mission into a team strategic plan with collectively owned team objectives. Others might focus on seeking clarity in the collective endeavour and the fundamental mission. And others may need to focus on internal relationships, relationships with stakeholders or how they stand back and take stock, reflect and learn. Once the collective priorities have been agreed for the team, the work starts of deciding the specific actions for making change happen. Specific planning and rehearsals of the plan of action enable aspirational commitments to turn into transformational results. The team needs to build a review process. The coach will help them prepare for the fact that they will discover more about the team culture and systemic dynamics when they try to change things. They need to prepare for things not to work the way they expected and to build a review process for regularly tracking progress and making changes based on what they see.